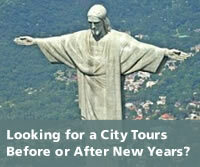 Spending the New Year's Eve in Rio is a trip to the most diversified scene that someone could ever experience. Party people and tourists hungry for culture can definitely take advantage of the amazing offers in this celebration, not available anywhere else in the world. As they say, New Year's celebration in Rio de Janeiro is the biggest party in the world. From the colorful sights, the amazing energy of street dancing and the pounding music of the bars and clubs and gay communities from hither to thither clamor the amazing majesty of the New Year's Eve in Rio. It the place/event that everyone is invited to come to enjoy and celebrate the coming of the New Year. Gay communities from different places, local to international people coming in to join the New Year's festivities in Rio de Janeiro know that it is all about parties, everywhere, all night long. There are parties going from local clubs, international bars and even cruise ships, with the ambience of festivity, where everyone will surely enjoy the greatest moments with the pounding music and amazing lights. It is definitely fun and exciting. When it comes to street enjoyment, gay men and women can fully express themselves by dancing and enjoying the festivities while dancing the Samba, following the beating of the drums or just watch and get carried away by this highly cultural and extremely fun event. The New Year's Eve in Rio also provides amazing hotel celebrations and gay communities can mingle with various people from all over the world and witness the heart warming hospitality and friendly nature of the Brazilian people. Since Brazil is an open minded country, that appreciates the differences, everybody is treated equally, without any discrimination. Gay men and women can truly manifest themselves with no worries and party like there is no tomorrow. Of course that, within the conduct codes, anyone can truly have fun; from the most spiritual and traditional to the most modern and high energy celebrations. There is something that can offer you a fantastic experience. 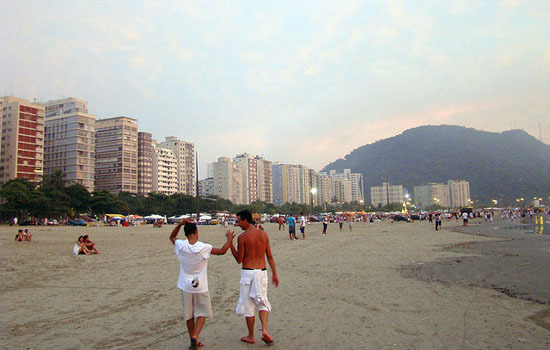 Gay men and women celebrating the New Year's Eve in Rio will also appreciate the magnificent view of the beach to just relax, enjoy some sun, get some tanning and be part of several activities that the city can provide. What a majestic way to start the year! One of the most famous of these celebrations for the LGBT community is the most specific one, the Rio Gay Reveillon, held in Copacabana, one of the most exciting destinations in the world. Rio de Janeiro was labelled as one of the best gay destinations in the world and they truly provide amazing entertainment for the gay community. The gay party events are full of energy, going from huge to the simplest parties. Members of the LBGBT community really trust the Brazilian gay party scene for the amazing celebrations most especially the New Year's Eve celebration. Gay men and women should go and plan ahead if they want to experience the biggest revelry to welcome the New Year. Get yourself a package and you will be one step closer of making your start of the year more colourful, like the rainbow.